What if you become what you believe? What if your ideas and belief in God, makes you ultimately like that God? 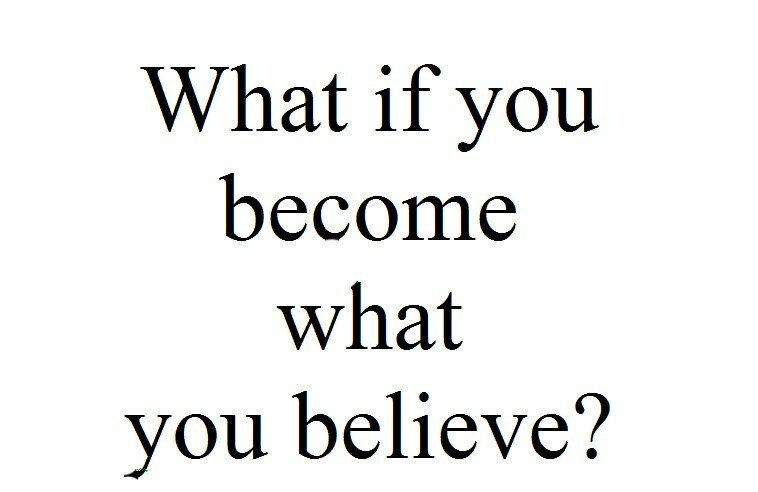 What if, you become what you believe? What if your belief is in an angry God who only is concerned with justice, instead of a God of compassion who is willing to forgive yet still will give justice to those who do not choose to live in that forgiveness and find new life? Will their view and belief in God as angry not reflect in how they treat others? God is love. Love knows not fear. Fear has to do with punishment, yet if one believes that God will punish them, are not be perfected in love. Instead of loving their enemies, they seek vengeance. They even justify that somehow they battle against flesh and blood though the bible is clear that is not where our battle lies. However, what if the ultimate vengeance is forgiving your enemies, and forcing them to choose to let your forgiveness become their reality, which takes humility and the other choice is to reject your forgiveness and letting their pride become their shame and end? Posted in compassion, fear, Forgiveness, Love, vengeance | Comments Off on What if you become what you believe?